Quick Tension Switches designed to mimic a mechanical switch for the fastest key registration. Guaranteed precision and key-feel consistency for over 20 million clicks. Advanced anti-ghosting support for 24 of the most commonly used keys in gaming. Vibrant blue ground effects backlighting with long-lifespan LEDs. 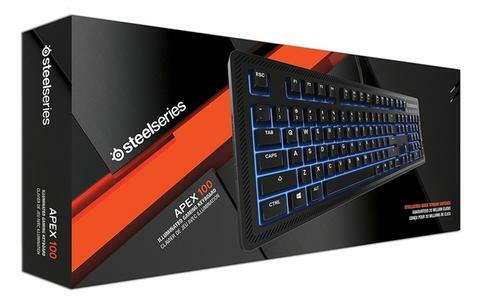 The Apex 100 has the largest arsenal of customization options in its class.